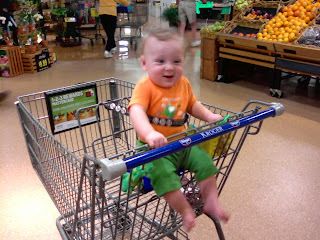 BB had his first ride in a shopping cart sans car seat Saturday. He is growing up so fast. I can't stand it.